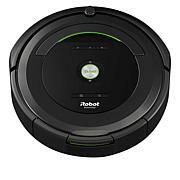 Clean smarter with the iRobot Roomba i7 robotic vacuum. 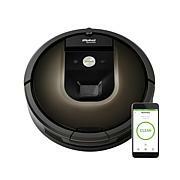 Using sensors and mapping technology, iRobot learns its way around your room and detects how much it needs to clean. 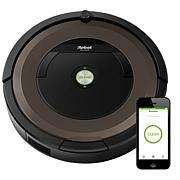 Plus, its HOME app works with your smartphone, so you can control the vacuum remotely. Cancer and Reproductive Harm - www.P65Warnings.ca.gov/product. 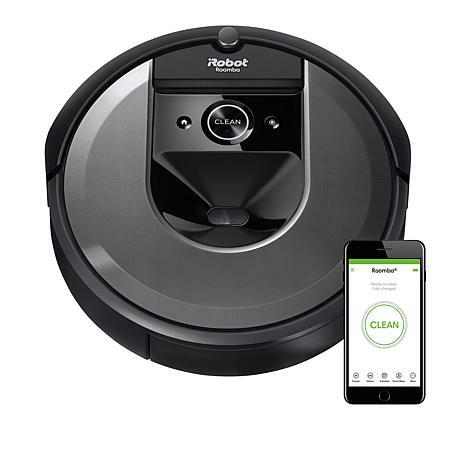 Roomba® i7 is compatible with the iRobot® Clean Base™ Automatic Dirt Disposal. Sold separately. 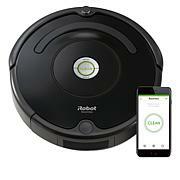 Roomba i7 ~ Why did i wait so long !! I LOVE our new Roomba i7 . It's an awesome unit which is totally fascinating to watch. It gets everywhere I need it too and the carpet looks great. Been using it about 10 days and it hasn't missed a beat. It's quieter than I expected although a little louder on tile and hardwood. It's easy to empty and never gets stuck. Set up and programming a schedule is very easy too. Love it !! !